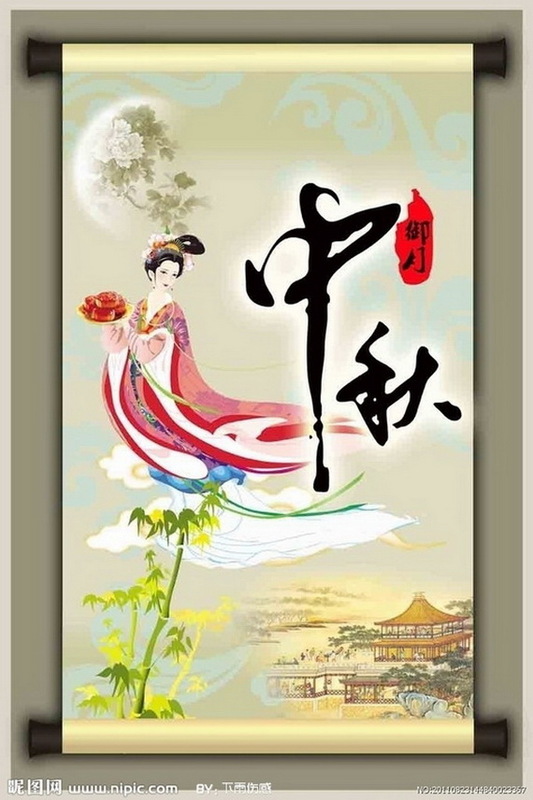 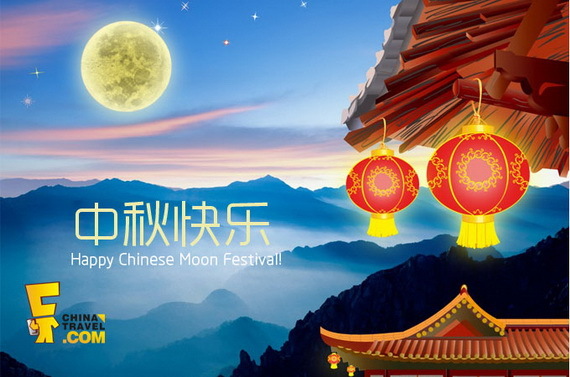 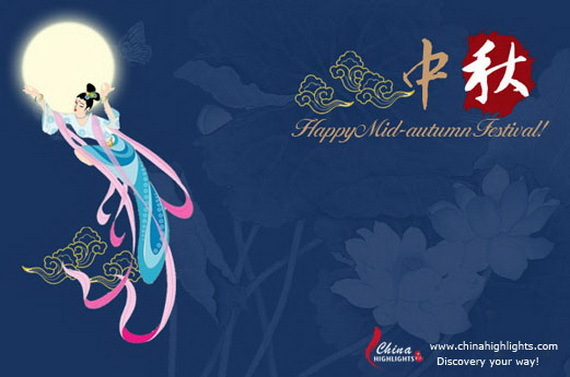 The Mid-Autumn Festival (Chinese: 中秋节), is one of the few most important traditional Chinese festivals holiday in the Chinese calendar, (in addition to the Spring Festival Chinese New Year and Winter Solstice), it is also called the Chinese Moon Festival. 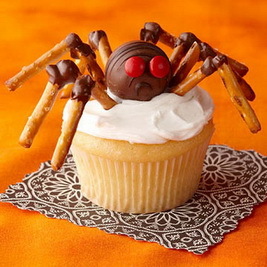 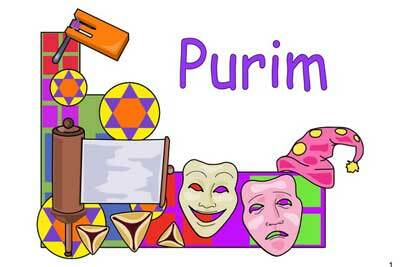 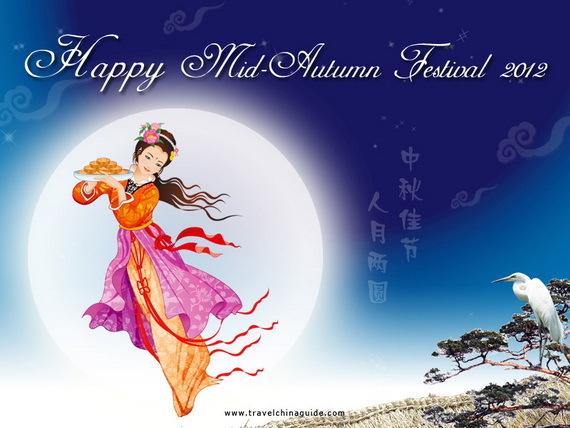 The Mid-Autumn Festival is a legal holiday in several countries. 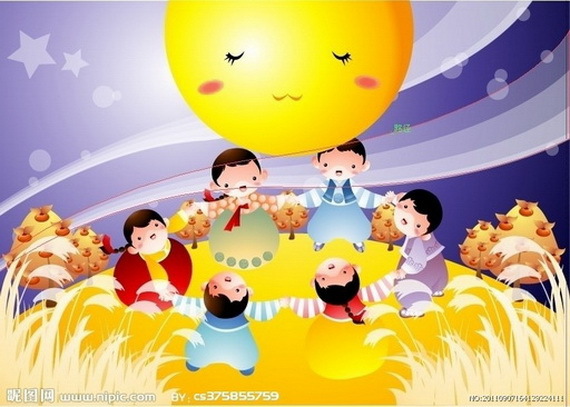 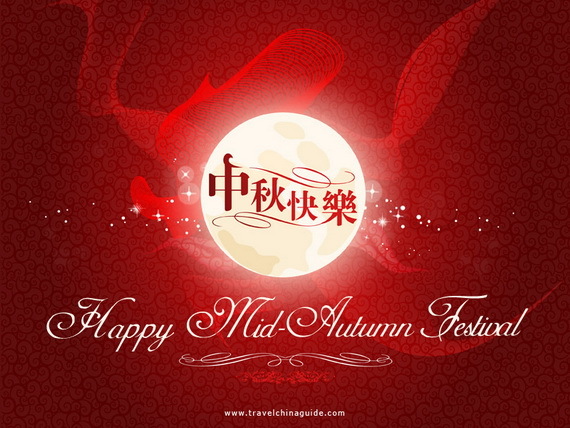 Perhaps most importantly of this Mid-Autumn Festival is a day for family reunion. 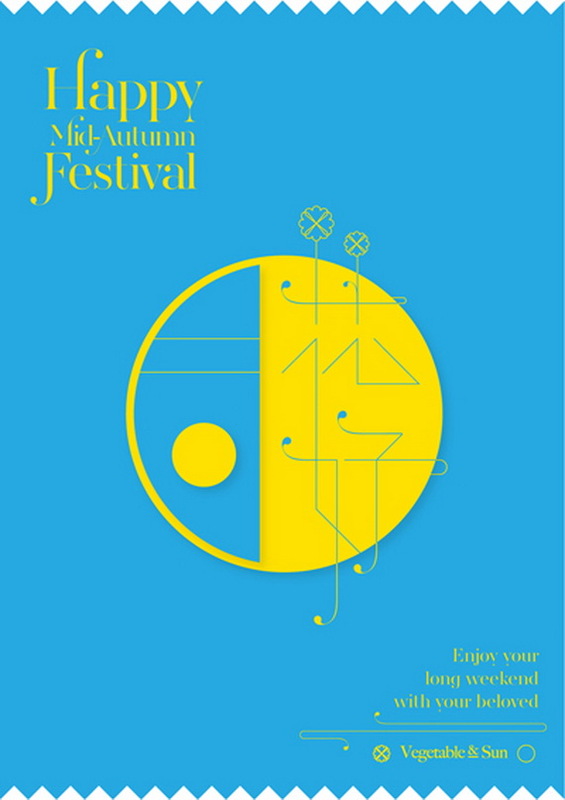 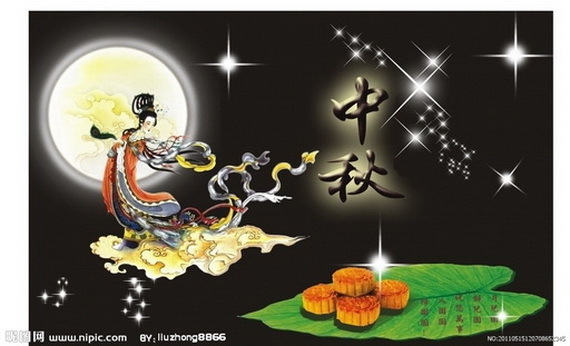 This lively festival takes place on the 15th day of the 8th Chinese lunar month every year around the time of the autumn equinox (usually September 22). 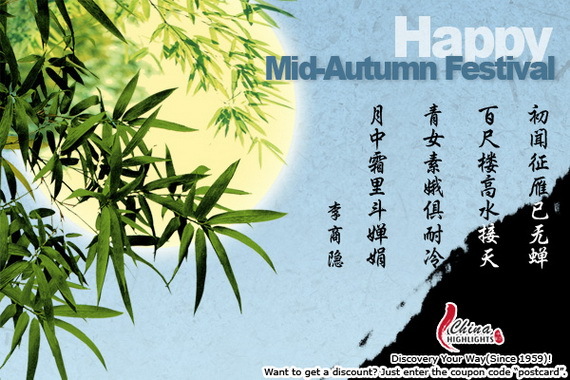 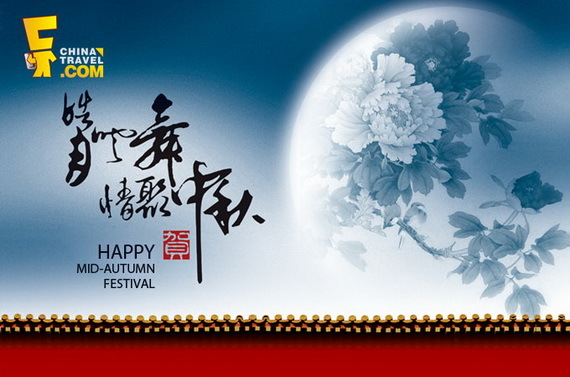 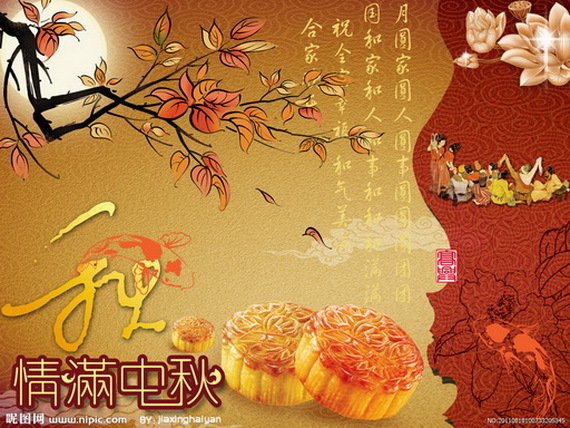 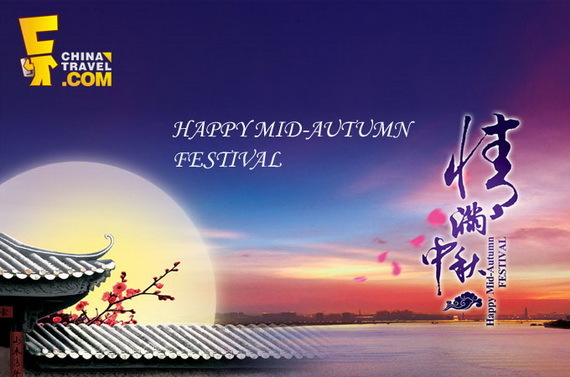 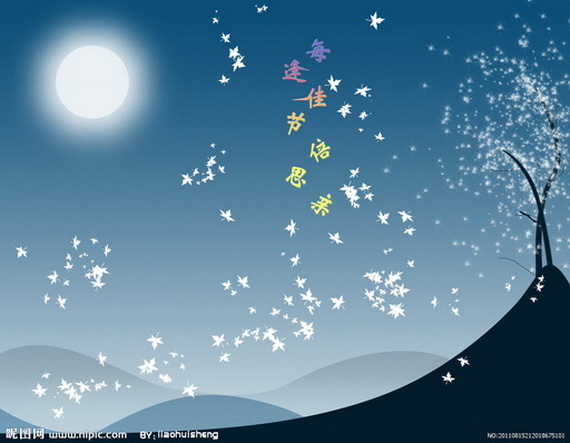 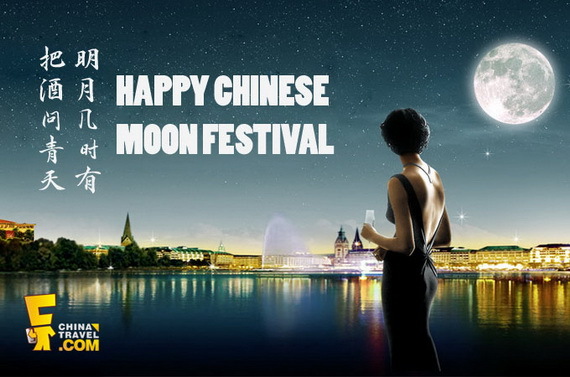 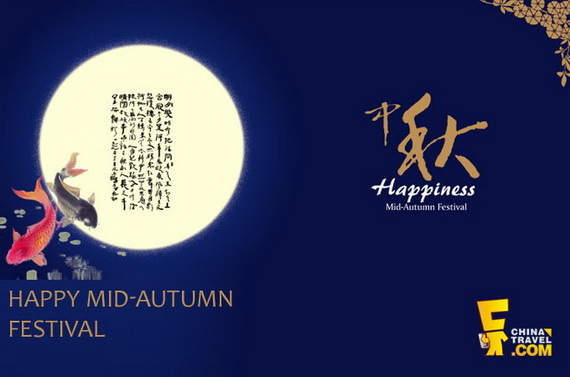 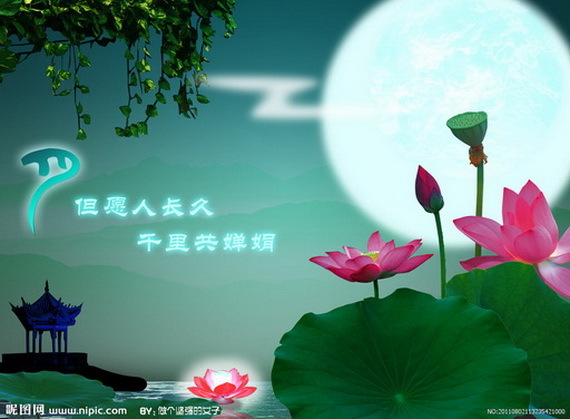 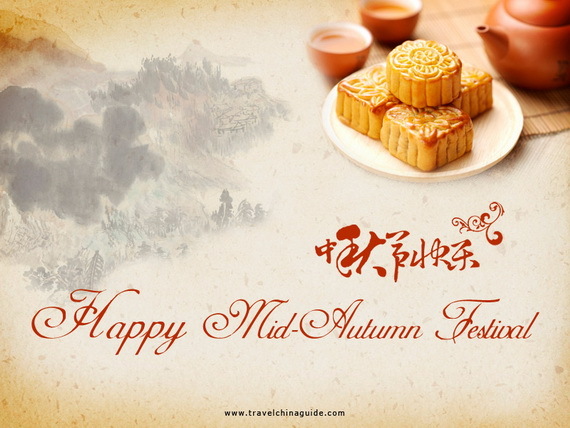 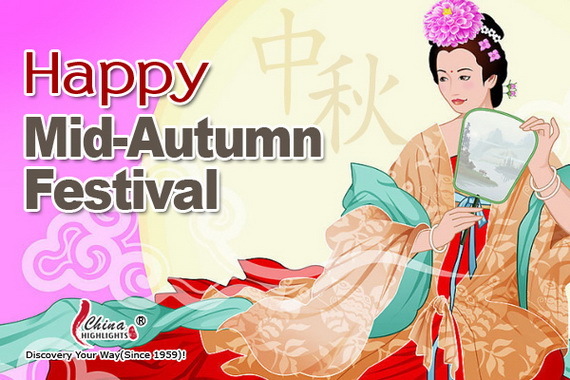 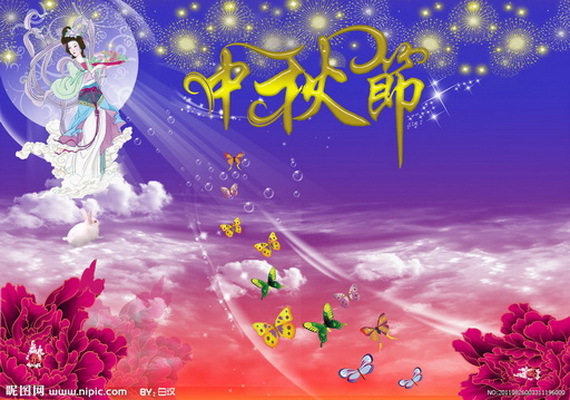 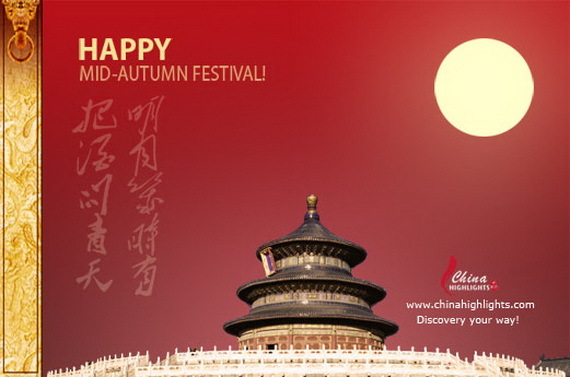 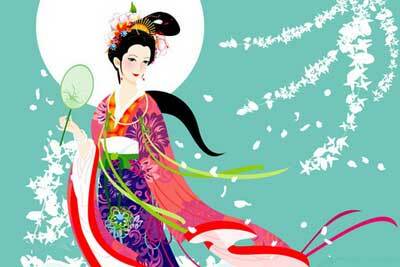 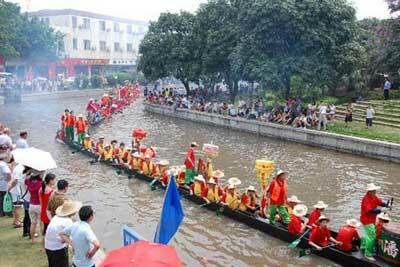 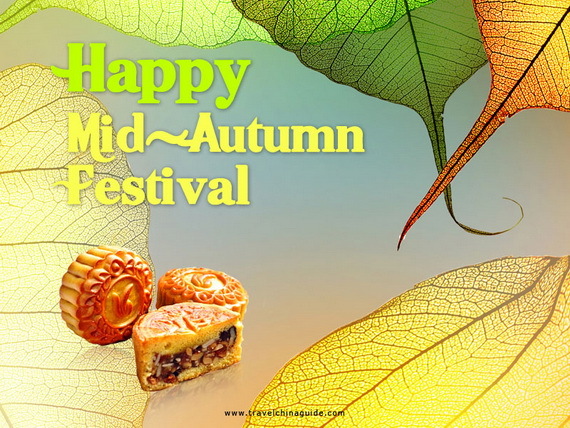 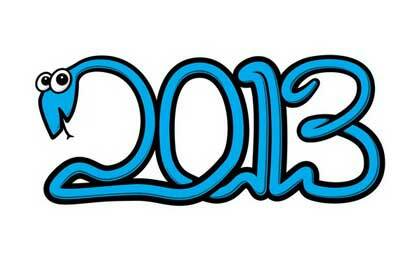 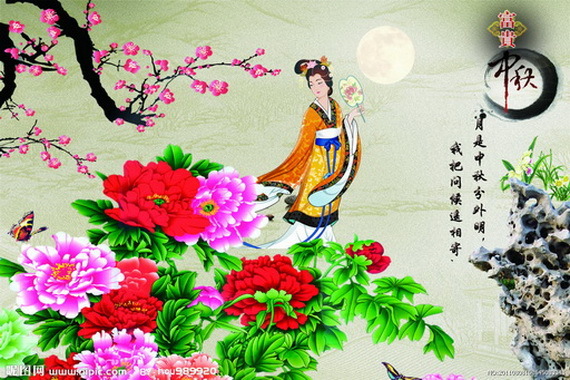 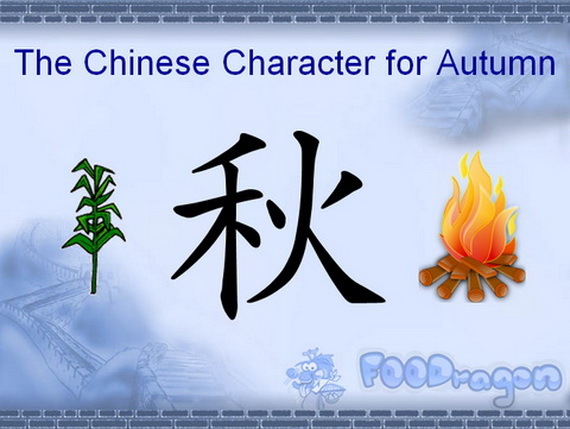 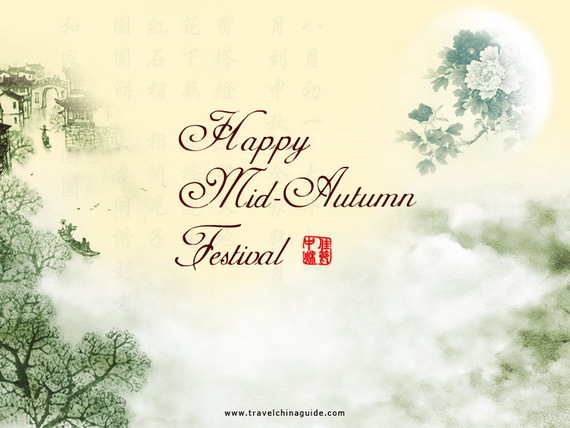 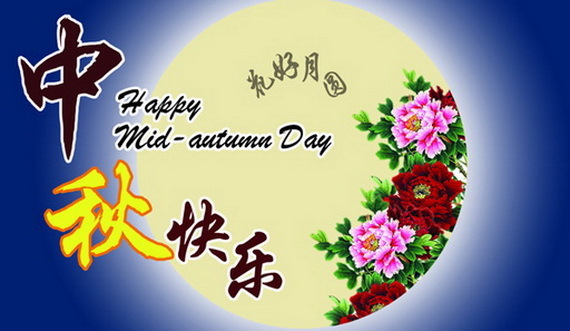 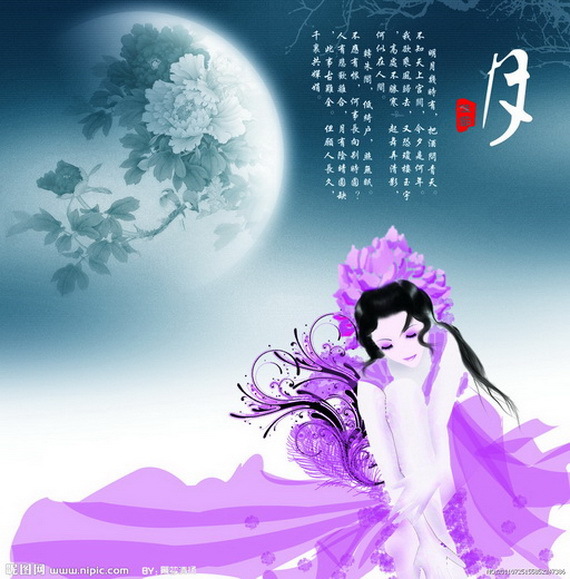 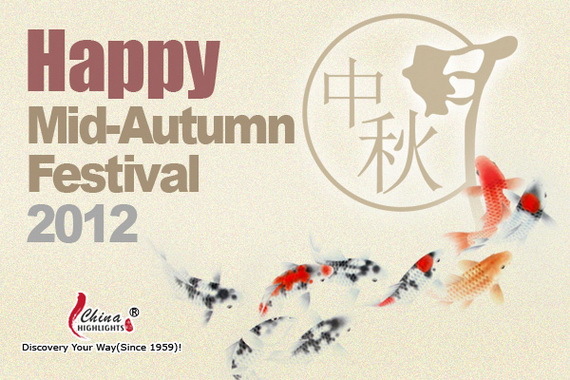 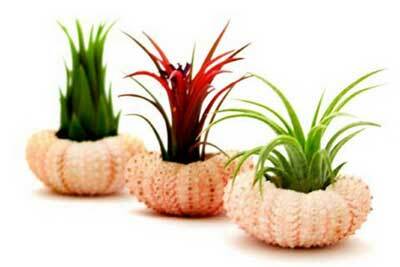 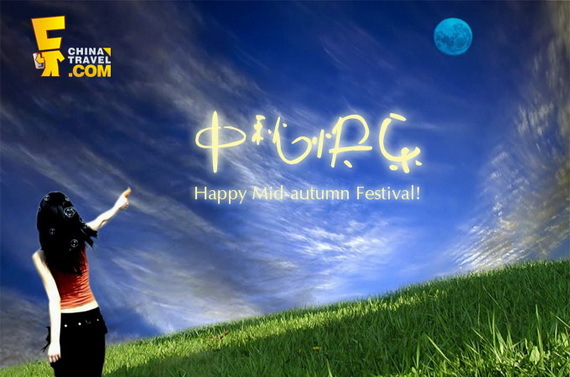 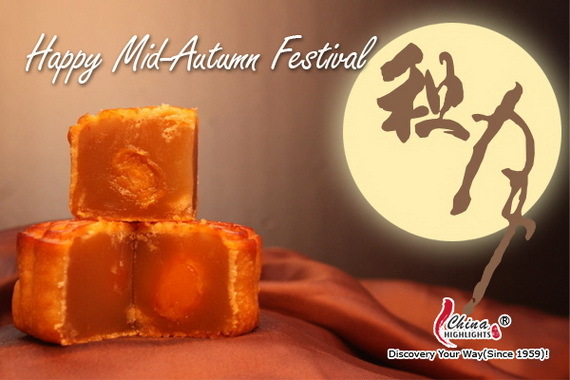 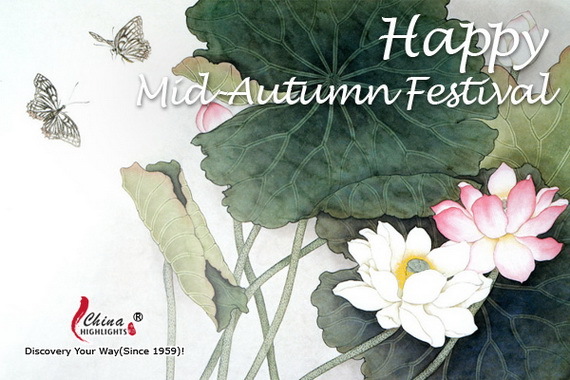 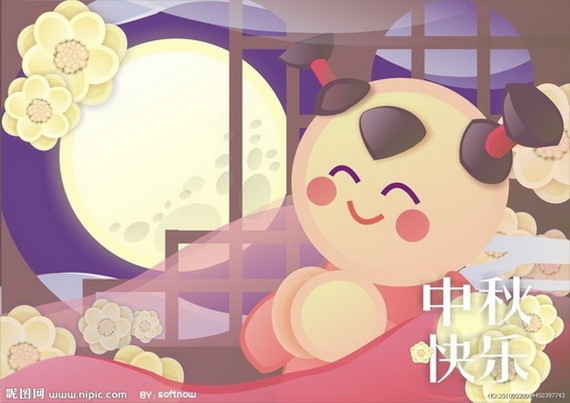 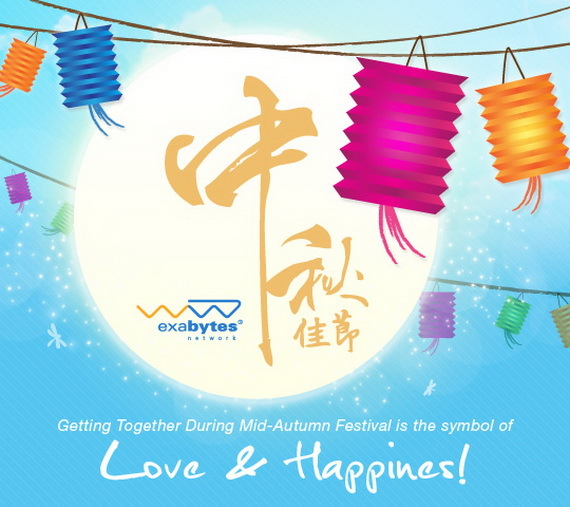 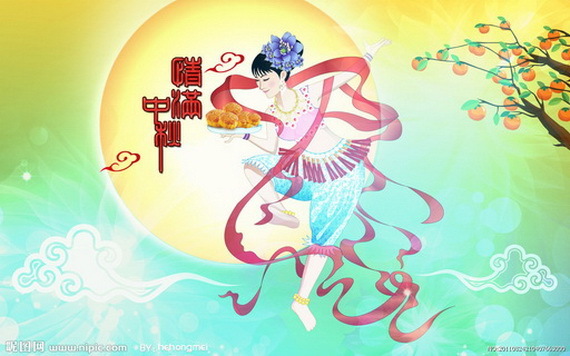 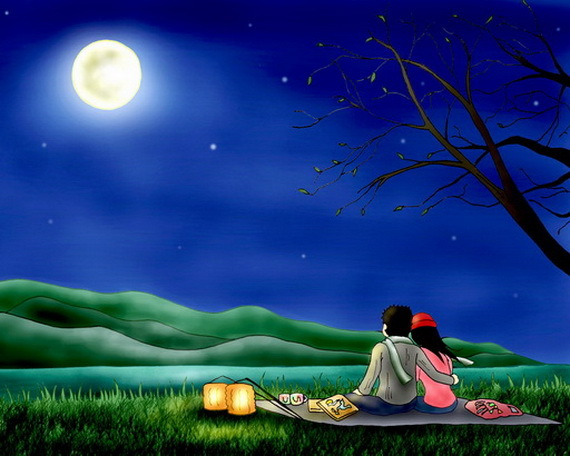 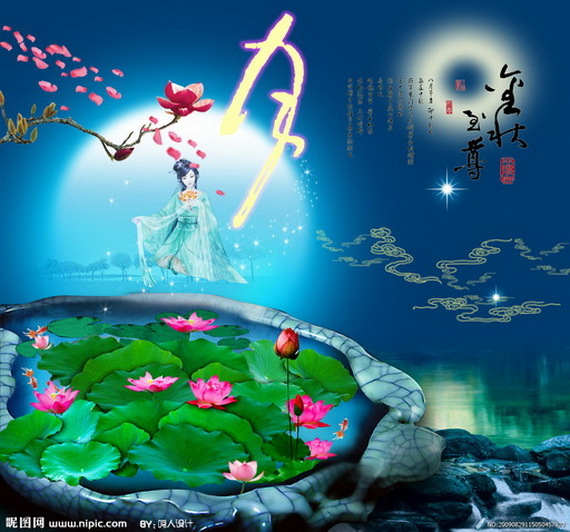 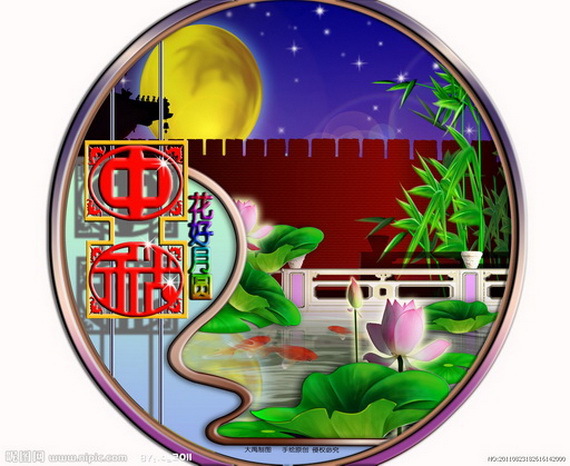 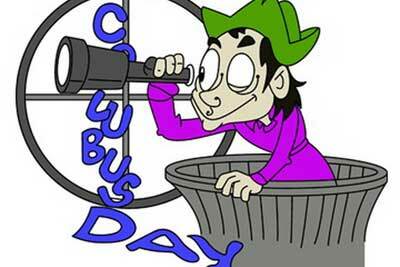 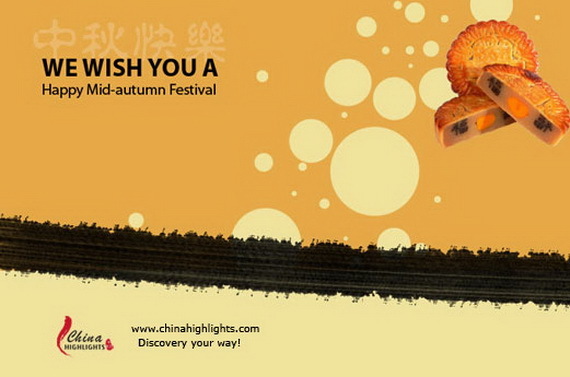 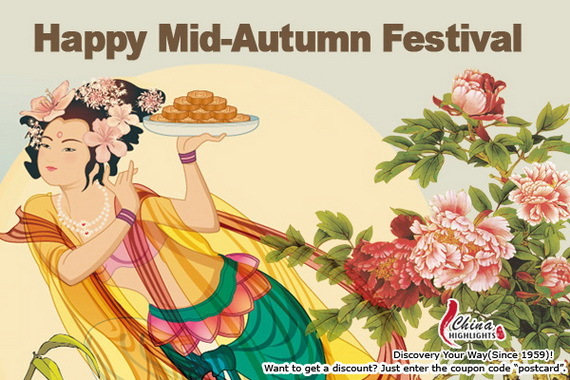 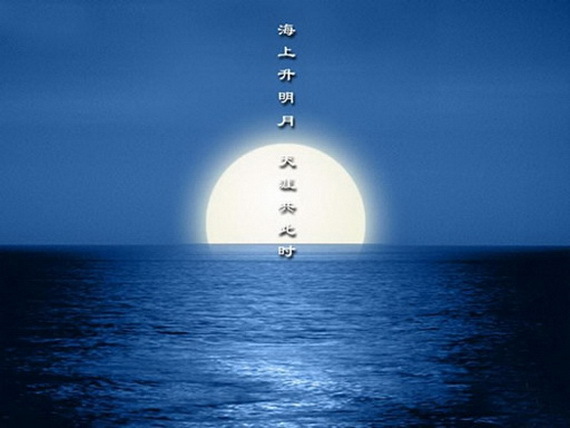 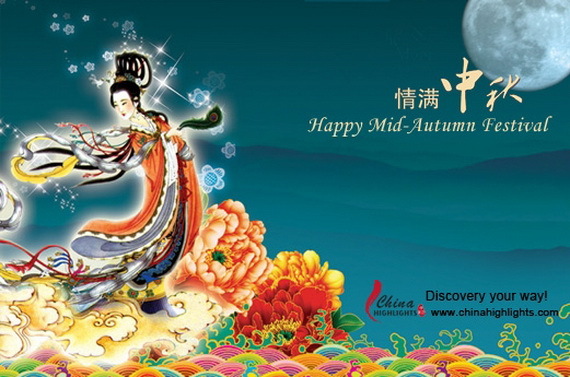 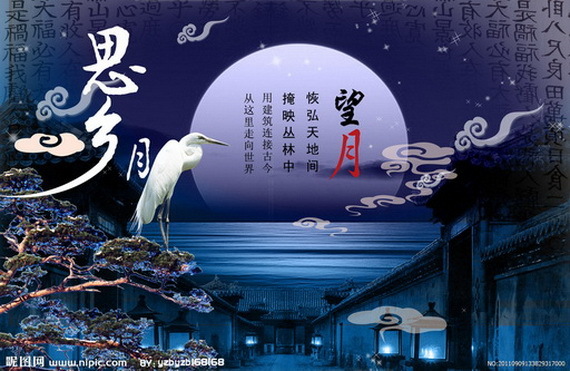 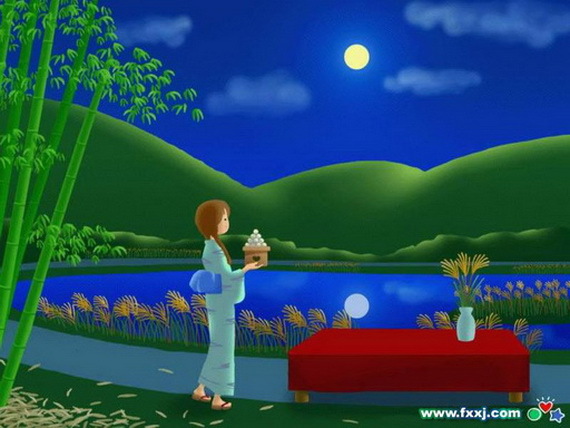 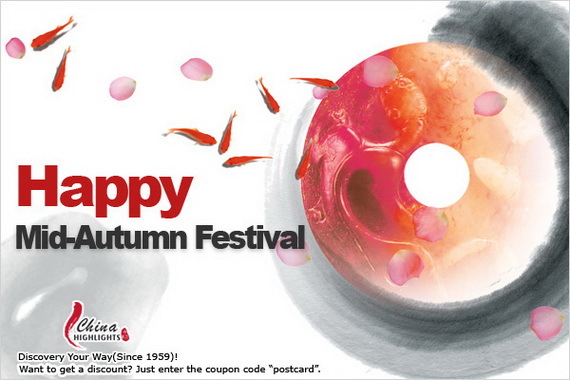 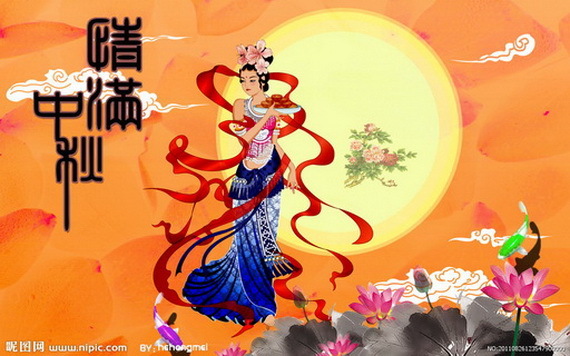 In 2013, the Mid-Autumn Festival will be on September 19. 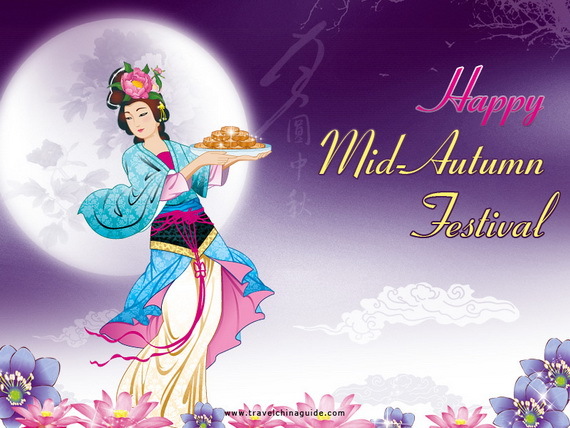 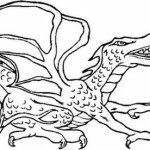 So in honor of the Mid-Autumn Festival Why not send a Mid-autumn Festival card of a mythological character of Chinese folklore associated with the moon to your beloved ones? 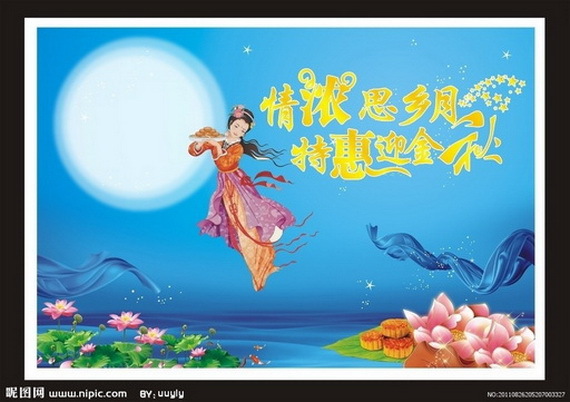 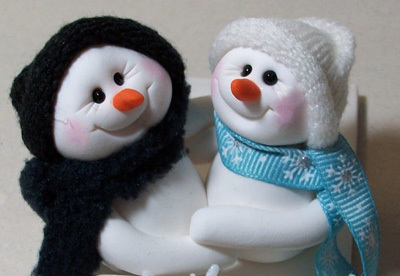 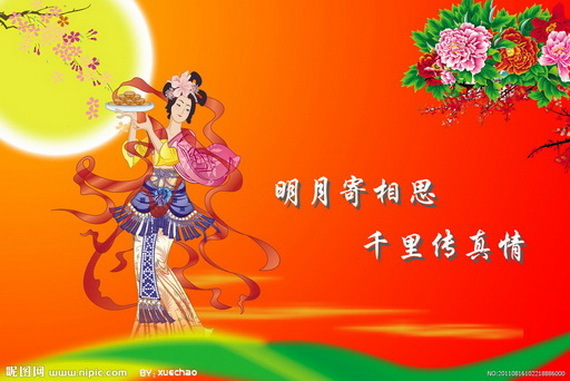 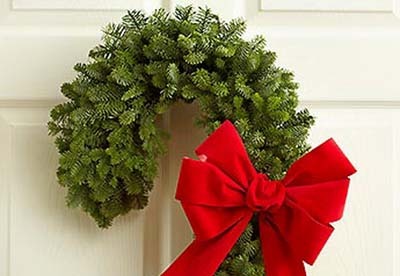 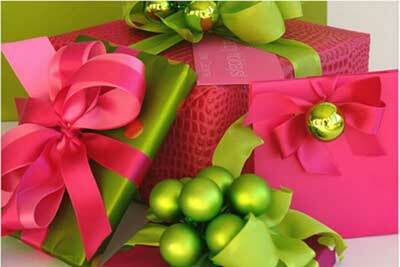 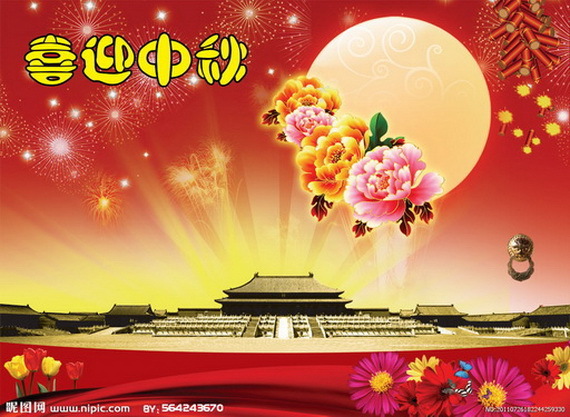 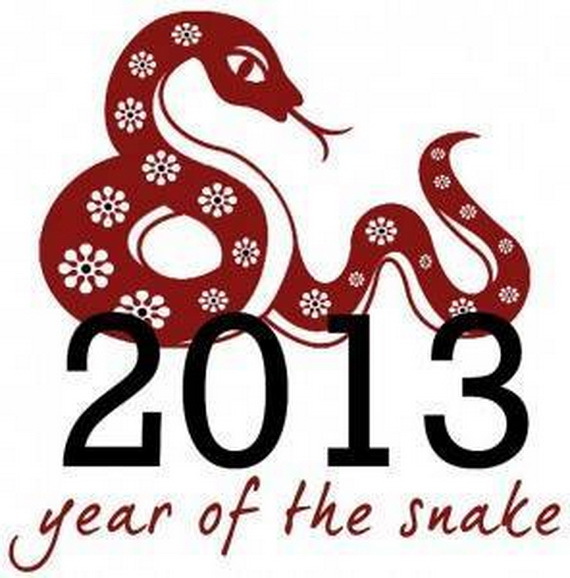 Here is a nice collection of greeting cards gathered from the net for Chinese and non Chinese celebrators.